Remittance, the ability to send cross-border payments from one party to another, has emerged as a major use case for bitcoin, and a number of companies are already seeking to build global remittance platforms using the digital currency. One of the main reasons is that, according to the World Bank, remittances cost consumers an average of 8% worldwide. Yet, despite bitcoin’s potential to lower costs in this financial sector, there hasn’t been a blockbuster venture in this space yet. HelloBit is one bitcoin startup taking on a different strategy to achieve this goal. Instead of creating infrastructure that enables global bitcoin payments, HelloBit has built a consumer app that will connect bitcoin senders to local exchangers. 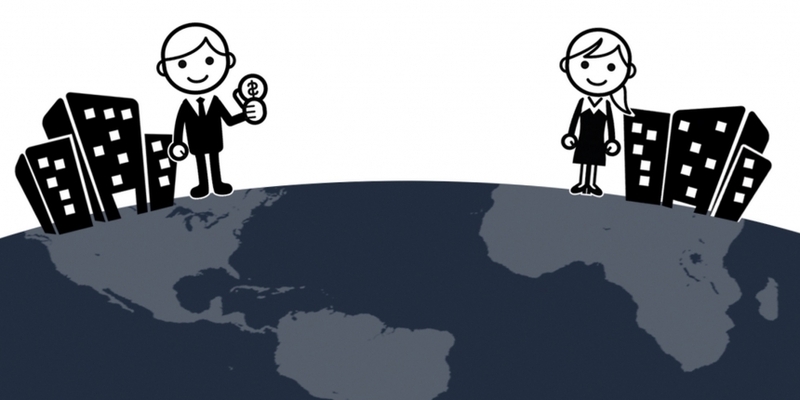 Users can connect with these exchangers, be they individuals or businesses, and receive payments in local currency. The company’s co-founder Ali Goss likens his startup to ride-sharing giant Uber in the way that it seeks to integrate the power of a cellphone service into an existing market. 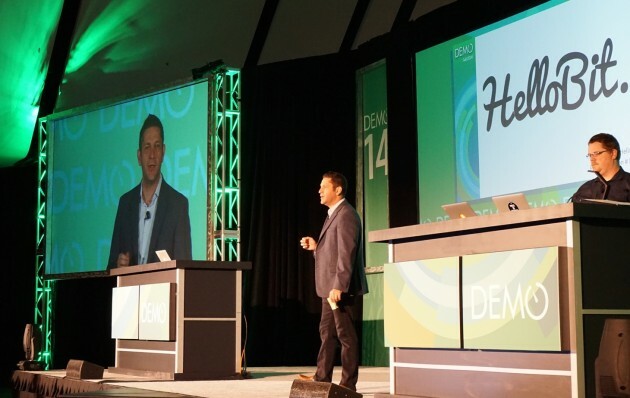 Goss began working on HelloBit in 2013 when he founded the company with a focus on education. However, he soon pivoted, believing that to have an understanding of how digital currency could change financial systems for the better, users would need a hands-on tutorial of how bitcoin works. Goss wanted to build a company to facilitate this process – at that time, he just needed to figure out a solid use case. After witnessing many companies focus on infrastructure in 2013, Goss decided to focus specifically on consumers. “I didn’t want to do [infrastructure], I wanted to do something else,” he said. While attending 2013’s Inside Bitcoins conference in New York, Goss first learned of bitcoin’s potential for cross-border payments. HelloBit is a three-party remittance system. While the sender and exchanger need to have a smartphone, the receiver requires only a feature phone. 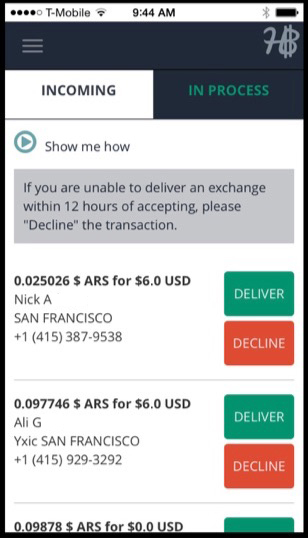 The sender transmits bitcoin to a local exchanger using the app. The exchanger then provides the receiver, who gets an SMS code to validate that they are the recipient of the transaction, with local currency. The concept is sort of like Localbitcoins, but Goss says HelloBit is, “algorithmically built” to score exchangers on a number of metrics. The score calculates an exchanger’s liquidity, hours of operation, availability and trustworthiness, which is derived from user feedback. Screenshot of the HelloBit smartphone app as seen by an exchanger. The end result is a system that is designed to reduce remittance costs. 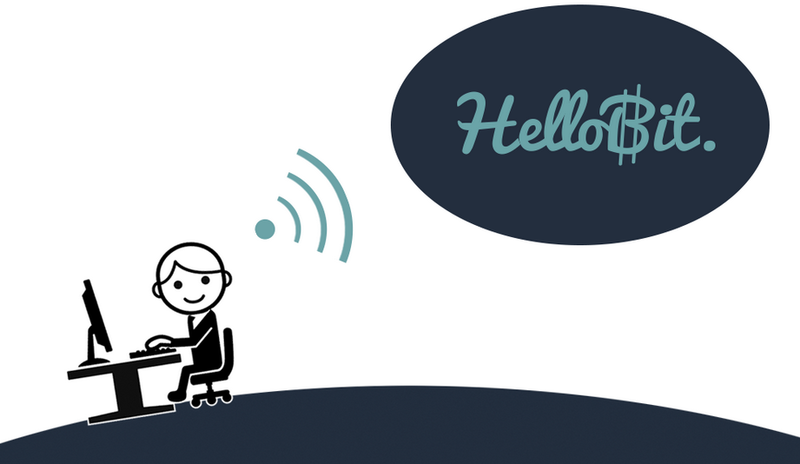 HelloBit also empowers local exchangers to cater to their recipient customers, somewhat like a mobile Western Union. HelloBit plans to make money by charging a fee to exchangers on top of what they charge for transactions – the exchanger gets to choose what percentage fee it charges through a sliding scale in the application. HelloBit levies this fee amount in bitcoin. While developing countries often pay lower amounts for remittance services, in much of the world, a poorly developed banking infrastructure leads to higher costs. Key to HelloBit’s long-term success will be lowering these overall costs and taking market share from existing remittance companies before they see the opportunity for bitcoin. Western Union, for example, does not see bitcoin as a solution to its cost structure, according to its CIO John “David” Thompson. Of course, it will have to edge out competition. Ripple Labs has built a node-based distributed payment infrastructure that can exchange virtual currency for fiat currencies through exchanges it calls ‘gateways’. Recently, Mexican bitcoin exchange MeXBT launched at Money 20/20, planning to focus on Latin American remittance. Additionally, Coins.ph, a Philippines bitcoin exchange, has just released a wallet app that offers cross-border payment capabilities. Goss said HelloBit initially focused on the Latin American market, but has found substantial interest for the platform in India and the Philippines, and has decided to shift its strategy accordingly. While on the surface attacking the high cost of remittances seems like a surefire business proposition, regulatory issues often plague cross-border payments providers, and this is has been singled out as one of the causes of the industry’s high fees. Nevertheless, HelloBit has been built to be a connector, and leaves the complications of the exchange business to local operators. “We’re just matching the two people for a transaction,” Goss said. HelloBit’s exchangers do have to go through a Know Your Customer (KYC) process in order to be verified into the system and there will be other platform safeguards to limit issues that could arise with money laundering in the process, according to the company. Goss said HelloBit wants to partner with other companies in the bitcoin space, especially those focused on building remittance infrastructure, to increase global penetration. “Ultimately, I think there’s a lot to be said about B2B partnerships,” he said. HelloBit is currently in early signup mode. Interested parties wanting to use the platform can enter in their email address for an early invite on the startup’s website. The company is planning to waive transaction fees on the first $2,000 for early adopters. The smartphone app will be available for both Android and iOS.